In what I would so far call, the most productive and musically varied month for new releases, emerged a band from Blacksburg, Virginia. After one solitary listen, Hoop Dreams immediately landed a spot in our CN Mixtape for April and ever since then we've been aching for more than 2 Minutes of the larger than life, nostalgic lo-fi fuzz that's so clearly on display when listening to "XCPR". We spoke with the guys earlier this month, read below to see what they revealed. (One For The People) Interviewing you with only one song is always gonna be tough but firstly, lets us know about you guys, the beginning to now. (Max Brooks) All of us played and organised shows around Blacksburg and wanted more to happen. So we made it happen. (1FTP) It's going to get annoying this question over time but it's early days, so I can ask it. Did the name come from the cult documentary of the same name? (Jeff Haley) The name came from an engraving in concrete that most of us see everyday on Draper Road in downtown Blacksburg. Blacksburg is a small town so when something like that pops up in a place we all frequent it is hard not to notice it. Our friend was the one to write it and he was making a direct reference to the movie but for us it was a way to tie what we are doing to Blacksburg. I'm pretty sure I can speak for everyone when I say that Blacksburg is a very unique town that has an amazing community outside of Virginia tech. We wanted to pay homage to that. (1FTP) Explain to us as best you can, "XCPR". (1FTP) Describe your recording process, is it a simplistic one or can it get very messy and complex? (Jordan Mrazik) Our recording process has been pretty varied so far. Much like everything with Hoop Dreams it has been a collective effort. In the demo phase we regularly send ideas through email. When it came time for studio recordings we enlisted the help of one of our friends who studies musical engineering at Tech. This way we were able to take our time in the studio and get comfortable in the new environment. Some recordings on the other hand don’t ever make it past the lo-fi stage and instead bounce back and forth through email until they reach a level of completion. (1FTP) You're putting out you debut 7" with Captured Tracks (great news!). How did that come about? a simple phone call or email? (Jeff) I also play bass in Wild Nothing so I've known Mike Sniper for some time now. When we finished mixing XCPR it only made sense to show it to him. I sent it to him one Sunday in April and he couldn't get enough. That night he offered us an opportunity to release it on Captured Tracks and that was that. (1FTP) "XCPR" ticks all the boxes with me, it's broody yet upbeat and has a certain reminiscence of the past about it. Classic-Modern, or Modern-Classic. Do you think this is a style you'll try to develop? (Tommy Davidson) Although we all love to play gloomy dance songs, I foresee us changing gears in the near future. Stylistically, I think the creative direction will probably start heading towards that of one of our biggest influences, Will Smith’s “Big Willie Style”. Listeners can probably already see the coinciding themes: Our shows are accompanied by background dancers, we have a tendency to get PRETTY jiggy with it when we play, and most notably, our lyrics are exclusively written in iambic pentameter (as seen in Will’s track “Men In Black”). (1FTP) Everyone loves a bit of Big Will! Do you have other tracks already recorded? 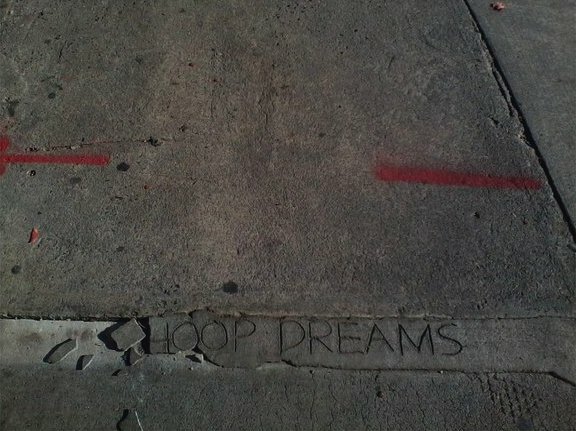 (1FTP) What do we have to look forward to from Hoop Dreams beyond the XCPR 7"? (Tommy) We are currently mixing a batch of songs for an LP release with Captured Tracks due out late summer / early fall. In addition, we are working on a video for XCPR with my buddy, Benjamin Brewer. He directed / produced the video “Dream Cop – Marooned” for me last October and I’m really thrilled to be working with him again. 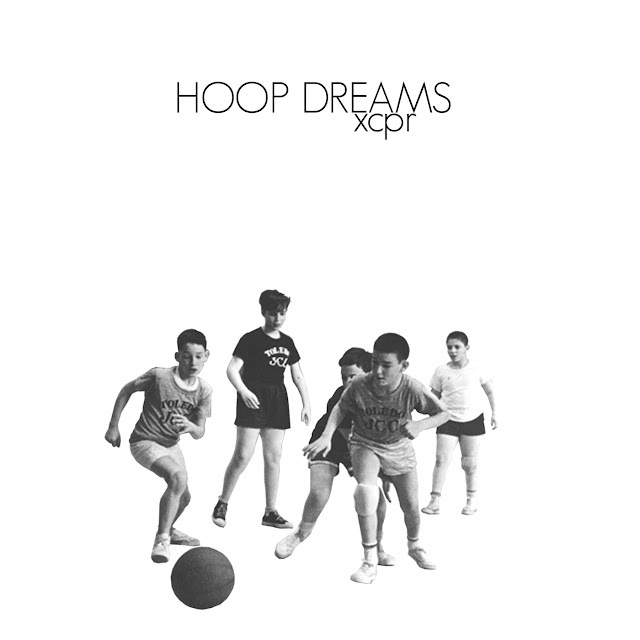 (Hoop Dreams) Hoop Dreams are Eve 6 mixed with Maroon 5 with a little bit of Eiffel 65 thrown in.